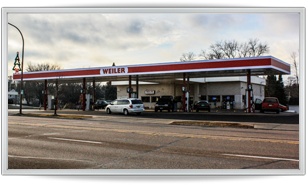 Weiler Enterprises is a locally owned and operated company founded in 1990 by Wayne Weiler. With multiple business offerings, the company maintains an established presence in the Marshfield area. 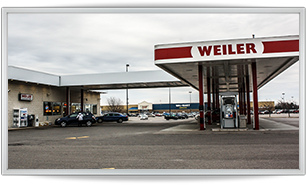 Weiler Convenience Stores feature friendly service, carwashes, food, and "pay at the pump" fuel stations. In an effort to help the environment, we have installed LED outdoor lighting at every location. 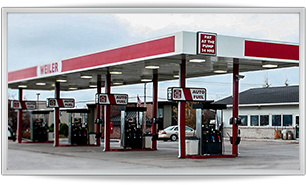 Weiler Transportation offers convenient ways to deliver the resources you need including fuel, motor oil, and more. Whether it's a home, farm, or commercial delivery, we are able to accommodate your needs and look forward to serving you. Wayne & Kelly Weiler maintain an active role in the stores as owner / operators. The two can often be found at the stores, ensuring the quality of service that you receive is second to none. Copyright © 2012 Weiler Convenience Stores. Site Designed and Hosted by Mueller Publishing, Inc.